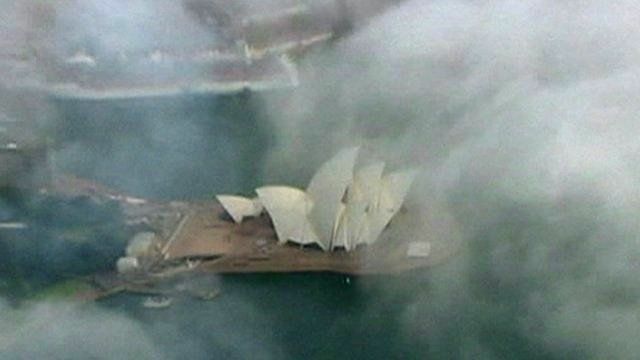 Sydney covered in 'spectacular' fog Jump to media player A thick blanket of fog covered Sydney early on Tuesday causing some flights to be diverted. 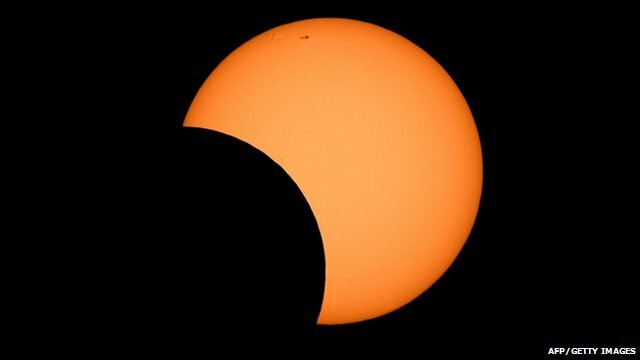 'Gorgeous' solar eclipse in Australia Jump to media player Scientists and astronomers gathered in Tennant Creek, Australia to watch an annular Solar eclipse on Friday. 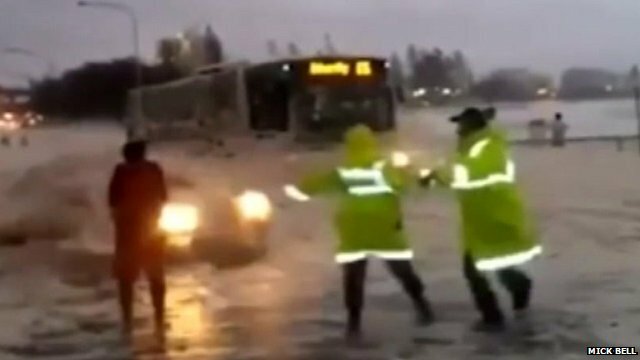 Car emerges from Australia foam Jump to media player A group of people looking at an unusual amount of sea foam in New South Wales, Australia, were taken by surprise when a car suddenly came towards them out of the foam. 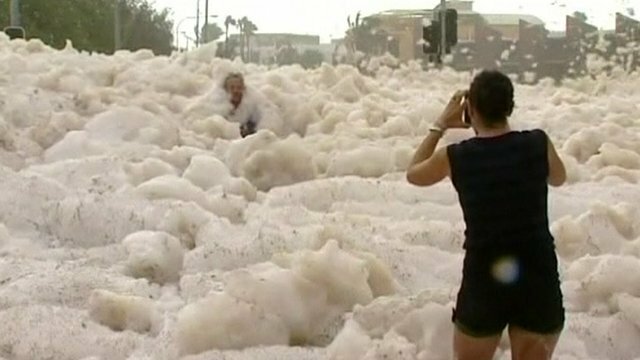 Australian town covered in foam Jump to media player Wild weather in the Australian state of Queensland has led to a small town becoming covered in foam whipped up by rough seas. 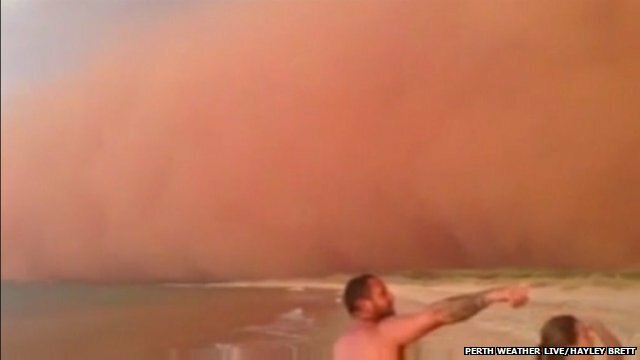 Giant sandstorm caught on camera Jump to media player A giant cloud of sand and red dust whipped up by weather conditions and strong winds in Western Australia has been caught on camera. Flights were diverted to Brisbane causing delays, however passengers were greeted with a "spectacular" view as they flew over the city.